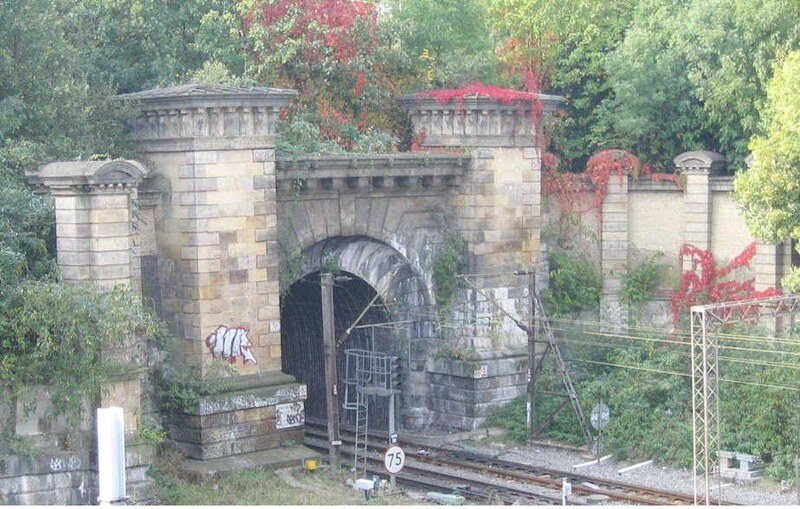 Tunnel portals at the start of the railway age were often made as imposing as possible in order to persuade nervous passengers that the tunnel was safe. Primrose Hill Tunnel was London’s first railway tunnel and the first tunnel nationally, and probably internationally, to treat one of its portals architecturally. Ashlar was used for the portal to imply strength and the coved reveals of the rusticated voussoirs around the tunnel mouth convey the sense of a grand entrance. 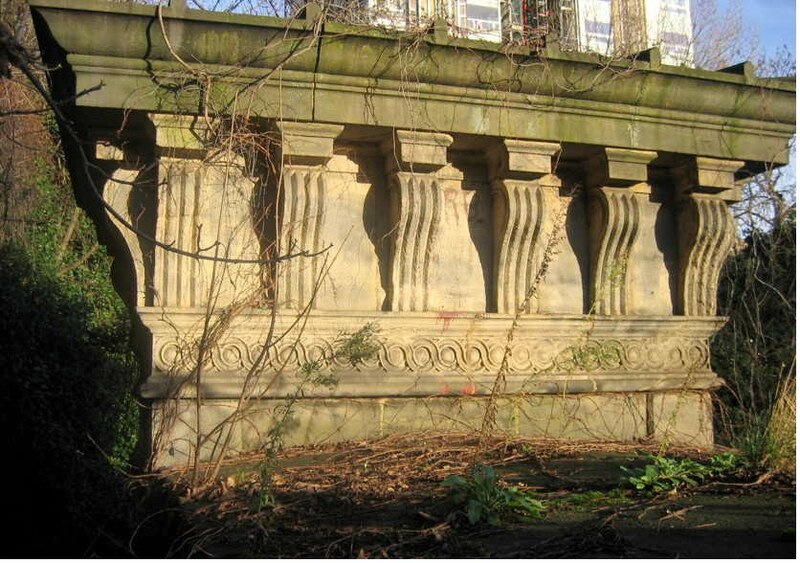 A heavy modillion cornice, with carved lion masks, links to massive stone piers on vermiculated stone pedestals. Flanking the piers, the curved wing walls of Suffolk bricks have vermiculated stone podiums broken by channelled stone pillars and crowned by segmental pediments. The stone is principally a sandstone from the Bramley Fall quarries in Yorkshire. Primrose Hill Tunnel East Portals (Grade II*) include both the original northern portal completed in 1838, and the southern portal dating from 1879. The second portal faithfully replicates the classical elevation of the original portal down to decorative detail such as lion masks but is taller in order to retain land rising up to Primrose Hill. It represents the railway’s rapid expansion in the second half of the 19th century. The portals are obscured by trees, buildings and fences, but can be seen from the north east side of King Henry’s Road where it meets Primrose Hill Road. They can also be seen from the opposite side of the tracks in Adelaide Nature Reserve, although largely hidden by vegetation in summer. 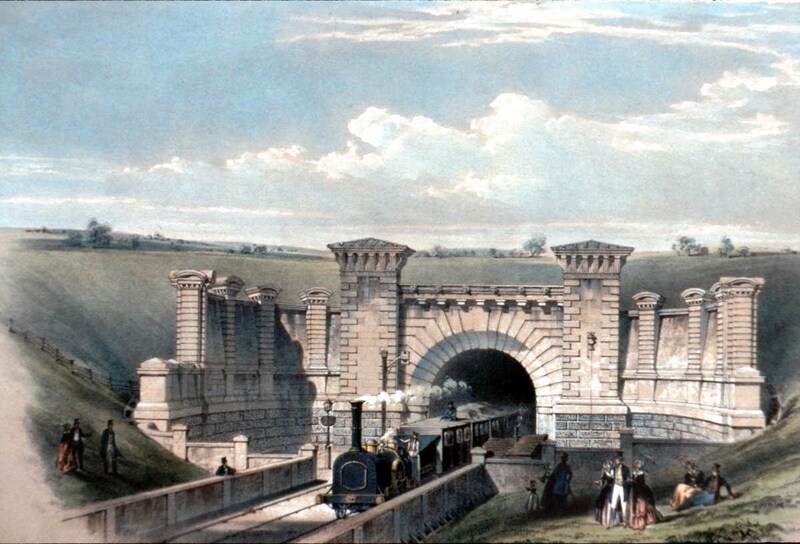 For more information about the portal see our history page on Primrose Hill Tunnel.